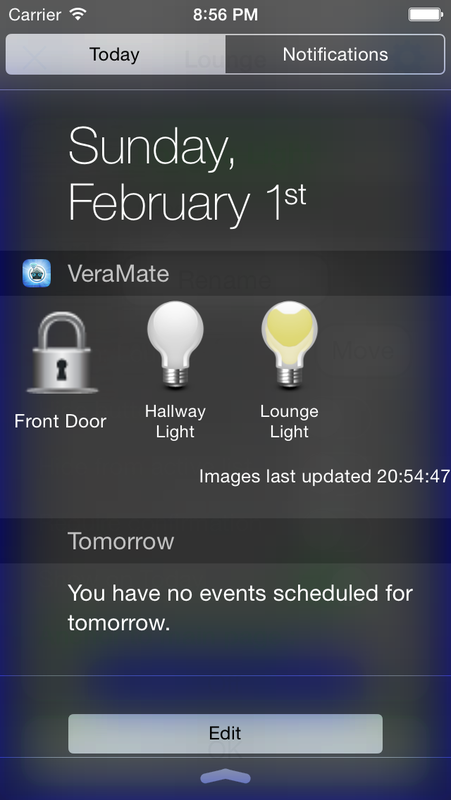 The VeraMate today widget is almost here! 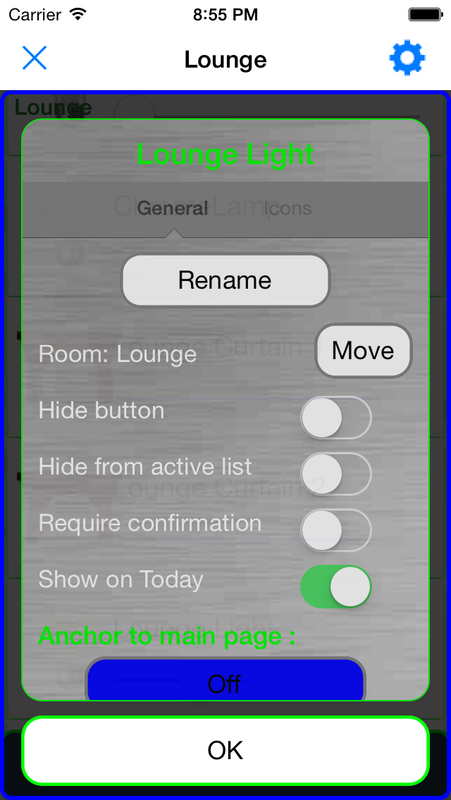 Control your VeraMate from the notification center in iPhone quickly and easily. This initial version of the today widget will have some limitations. Apple require the widget to be created as a seperate app, making it a challenge to be able to reuse the rich code already in VeraMate. This initial version of the Today Widget will use a communication method to attempt to have the widget control the VeraMate app requiring VeraMate to be running in the background, and push notifications setup. This is not a fool proof mechanism for communication (needing to remember to have VeraMate running). VeraMate is working on future versions which will needing to do large changes to the code to incorporate the same communication ability in the Today Widget. Setup is simple. Enter edit mode (hold down a button for 2 seconds), and press the button you wish to show on the today widget. Enable the option Show On Today. This requires you to have push notifications setup. Please ensure you have enabled this, and allows background access and push notifications via Apples settings. Show the notification center by swiping down from the top of the iPhone. The device you have enabled will be shown here. Please remember this first version of the today widget only works when VeraMate is running in the background. Future versions will be working on enhancing this ability.